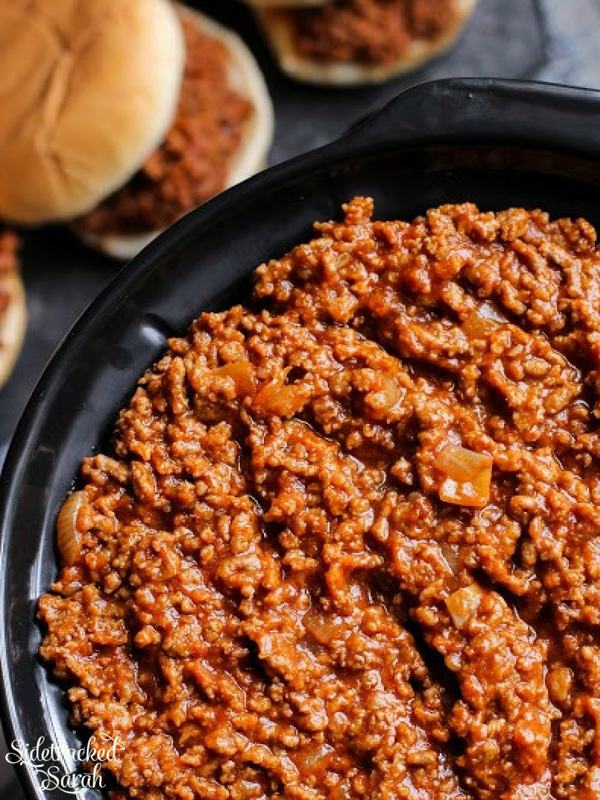 Instant Pot Sloppy Joes Are The Perfect Way To Get Your Sandwich Fix But You Can Still Feel Like You Got a Hot Meal! We love Instant Pot recipes including the most popular recipe on the site, Instant Pot Beef & Cheesy Potatoes and Instant Pot Chili Mac. 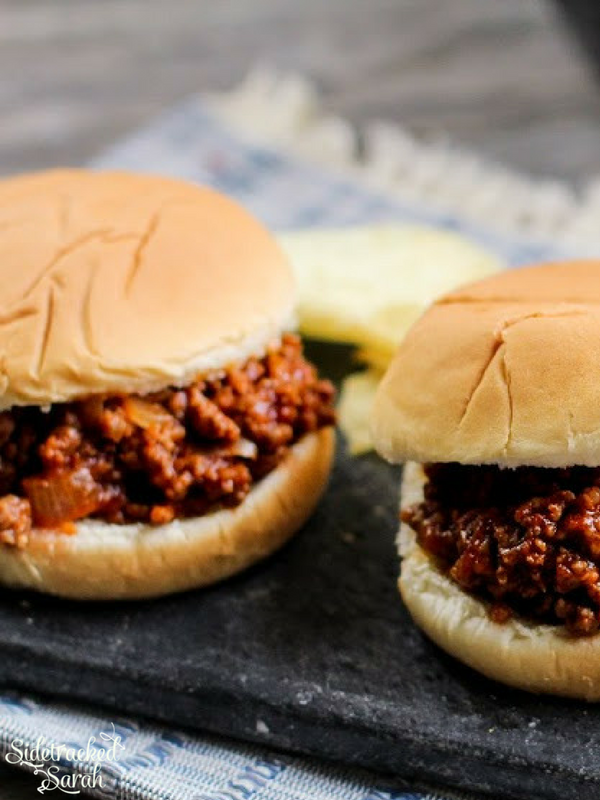 Sloppy Joes are SUCH a family favorite, and they’re pretty easy to make, too… even if you’re making it from scratch! Yes, I know the canned version is a little easier, but making it from scratch actually tastes a LOT better! 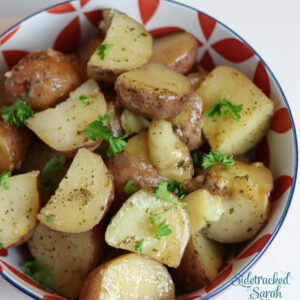 I’m so excited about my Instant Pot version! This is so incredibly easy to make and you’ll be sure to love them!!! WHY DO THEY CALL IT A SLOPPY JOE? According to legend, a cook named Joe at a café in Sioux City, Iowa, added tomato sauce to his “loose meat” sandwiches. After that, they started calling it the “sloppy joe”. How cool is that?! 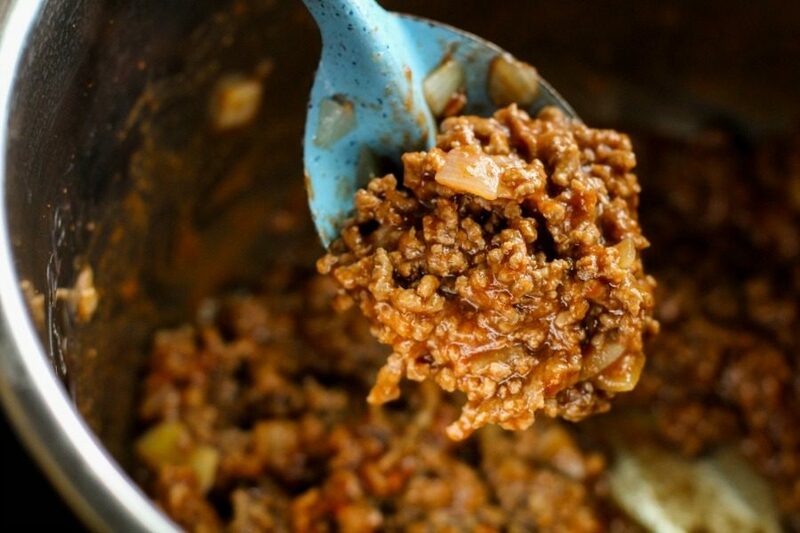 CAN YOU USE SPAGHETTI SAUCE TO MAKE SLOPPY JOES? Yes, I would say that you can if you’re in a pinch and don’t have the tomato sauce/ tomato paste combination. It may taste a little more like an Italian Sloppy Joe, but who cares, right? I’m sure it’ll still be yummy. I’ve seen a recipe or two made with Spaghetti Sauce floating around the internet. CAN I ADD MORE SPICE? 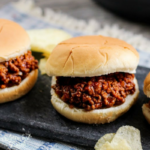 WHAT TO SERVE WITH INSTANT POT SLOPPY JOES? Raw Vegetables & Dip, like carrot sticks, pepper strips, broccoli, etc. WHAT CAN I USE INSTEAD OF SOY SAUCE? If you don’t have soy sauce, you can use Worcestershire Sauce! It may change the taste a little, but it won’t be a bad change. 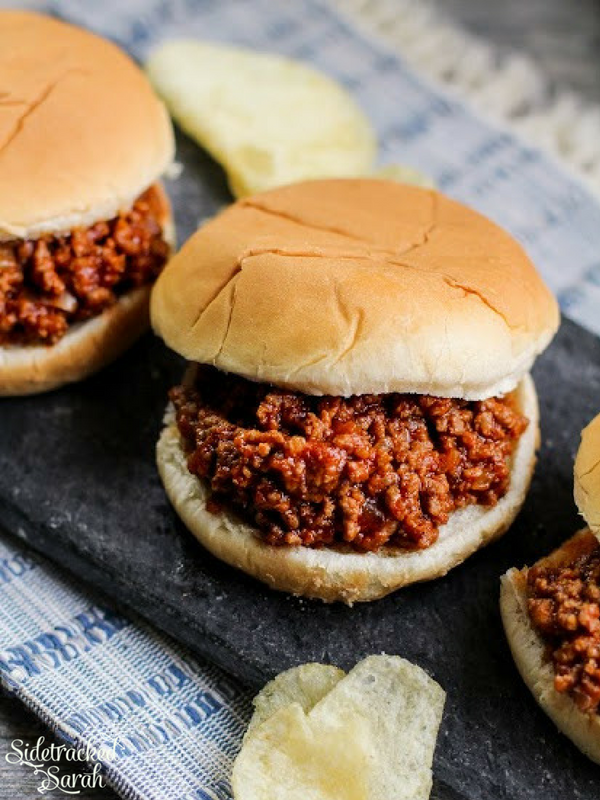 Instant Pot Sloppy Joes Are The Perfect Way To Get Your Sandwich Fix, But Still Feels Like You're Eating a Hot Meal! Place the 2 pounds of ground beef, onion and minced garlic into the instant pot. Turn the Instant Pot to Saute, and brown the meat. Drain grease from the meat, being careful to use hot pads while handling the inner pot. Add in the remaining ingredients and stir. Cook on manual (or Pressure Cook), low pressure for 5 minutes with the valve closed. Stir and serve on hamburger buns. 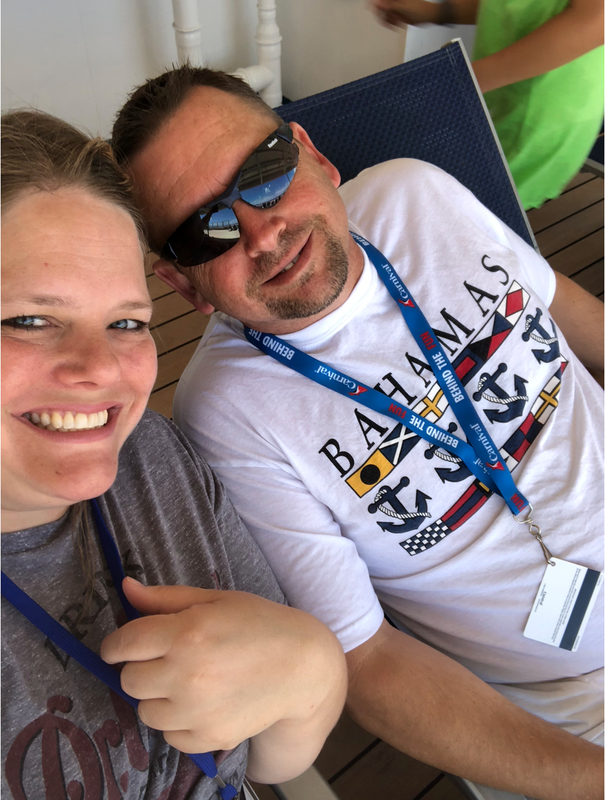 Ryan and I were able to go on a cruise in May to Cozumel and Progresso, Mexico. This is us, enjoying our favorite deck, right out by the water. It was a pretty amazing experience! We hope to go on many more cruises for years to come!